It’s great to see so many new breweries opening in Chicago. In episode 187 of the Hop Cast, Ken Hunnemeder and Brad Chmielewski check out one of the newest ones getting close to opening; Dryhop. Ken and Brad got a chance to chat with owner Greg Shuff and head brewer Brant Dubovick. 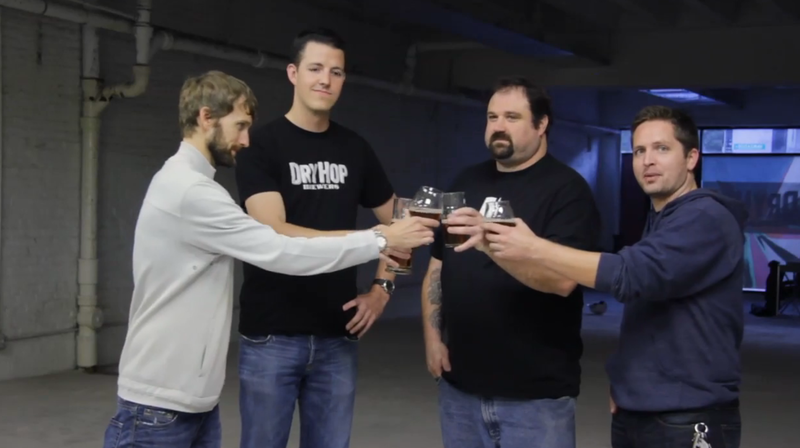 Dryhop is planning to open in Lakeview early in 2013; right now the space is totally empty but the guys plan on going forward fast. You can try some of Brant’s beers right now because he’s been busy doing collaboration brews with some of the other brewpubs in Chicago like Haymarket Pub and Atlas. Be sure to seek out those collaboration beers out to help hold you over until their opening this winter. Having issues watching this video? Try the Quicktime (143.7 MB).